This man throws toddler of the balcony but it's just a horrible prank. This is easily the most horrible thing your partner can do to you. How on earth did he think this is funny? There’s a fine line between being funny and being cruel. 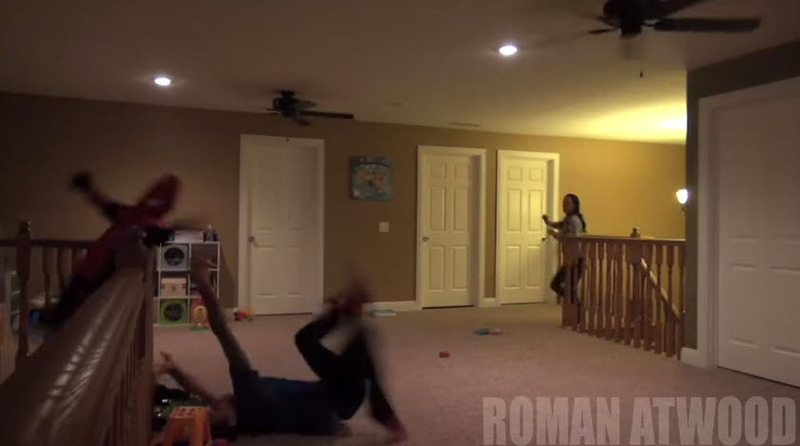 And what this prankster dad just did to his wife definitely is nothing short of horrible. American father Roman Atwood, convinced his unassuming partner into thinking he had thrown their youngest son off a balcony, to fall to his death. The father-of-two set up cameras and with the help of his sons, undertook an elaborate plan to scare his wife into believing their toddler had been killed. The trick, titled “Killing my own kid PRANK! !” was shared on YouTube at the end of last month and has been watched by almost 5 million people. 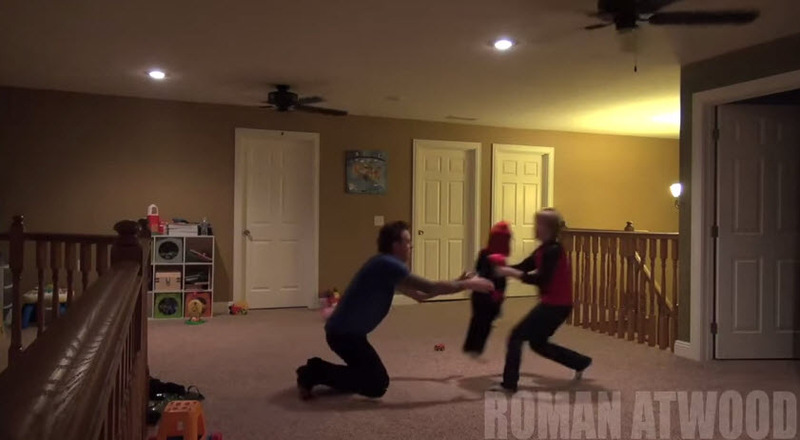 The prank starts with Roman playing upstairs with his son, who is wearing a Spiderman costume and mask. Roman’s wife arrives home and greets them affectionately, before she is asked “to grab them some water” from downstairs. 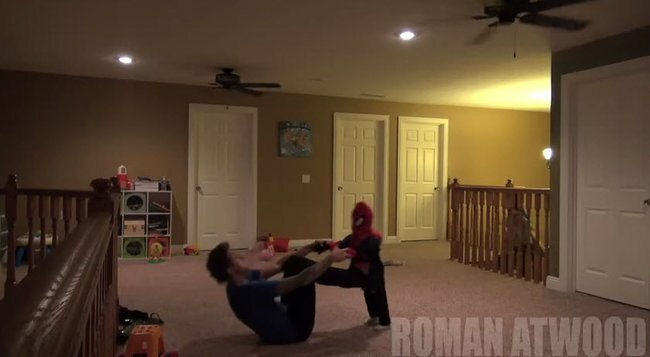 While she is gone, Roman asks his youngest son to hide in his room, while his eldest son brings out a dummy, dressed in the same Spiderman outfit as his child. Roman positions his feet on the dummy’s chest, preparing to throw it up in the air. 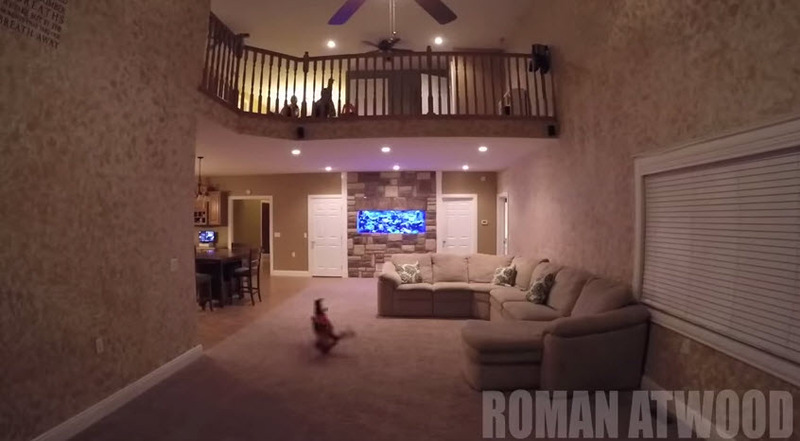 Roman’s wife returns upstairs when he lifts the dummy with his feet and flings it backwards over the balcony, where it falls and lands one floor down. Having believed her son had fallen to his death, Roman’s wife desperately leaps down the stairs to aid her son, when she kneels down over the dummy and pulls off the mask to discover it was all just a sick joke. Undoubtedly shaken and infuriated she screams at her husband “Why would you do that? !” to which Roman responds, “It’s just a joke,” and shrugs his shoulders whilst laughing. She instructs him to sleep on the couch that night before kicking him, and leaves the room angrily. Do you think this prank is funny or a horrible joke? How would you react if your partner played this cruel trick on you? The ‘Paralysed bride’ is expecting her first child through a surrogate. She co-slept with her baby. What happened next is heart breaking.